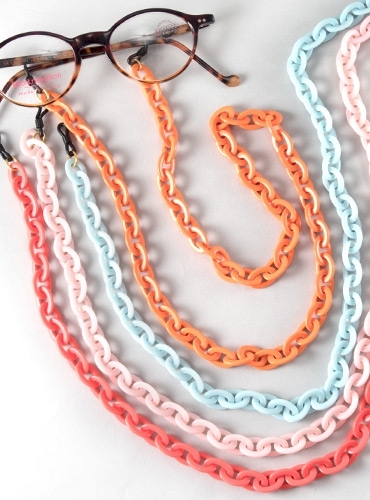 Our small oval link eyeglass chains. 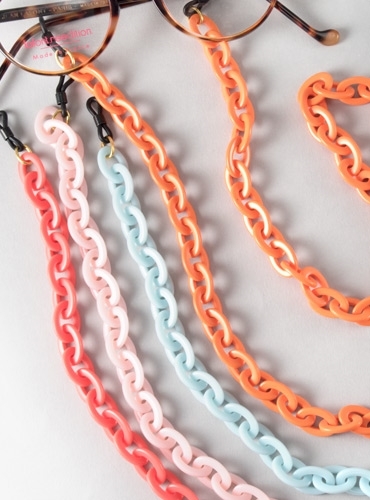 Each chain measures approximately 26" in length. Made in in France. Shown from left to right: B-coral; D-pink; A-sky; C-orange.